This French floral tapestry "Hibiscus Beige" shows a large bouquet of flowers as a still life study. Inspired by the botanical studies of the 17th century, as well as the floral still life art, we see a generous bouquet of flowers and hibiscus, on a marble table. The play of light on the petals of each bloom is beautifully captured in this piece. 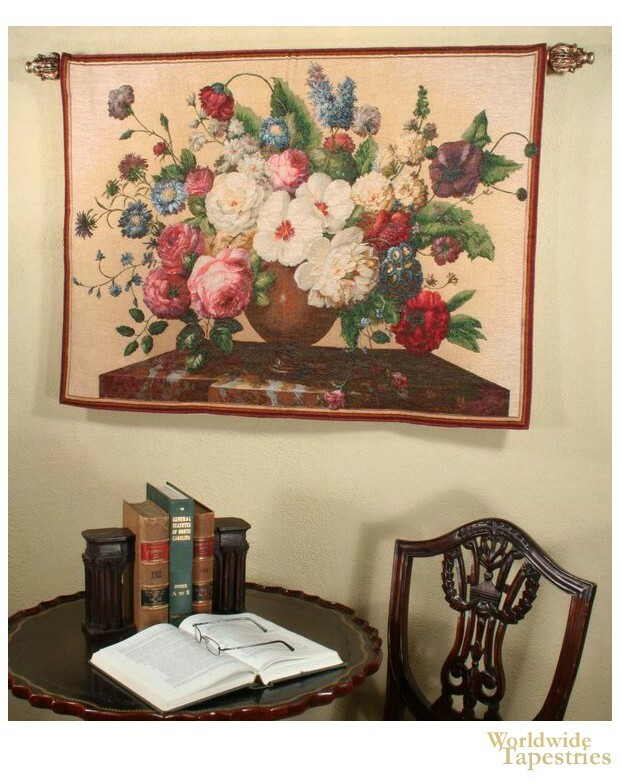 Full of beauty, this French floral tapestry "Hibiscus Beige" is backed with a lining and has a tunnel for easy hanging. Note: tapestry rod, where pictured, is not included in the price.